While selection might seem rather mundane at first, it's more or less the heart of Agile Design. Lecturing in the classroom is over and if it is not over in your organization, then you are wasting company resources. Now that does not mean lectures are finished because they can be quite an effective and efficient means to deliver information, ideas, stories, etc. (Pascarella, Terenzini, 1991). And it does not mean putting them in a Captivate or Articulate elearning program that locks the learners to their desk. Rather it means putting them in an audio file, such as mp3, so that they can be uploaded to a smart phone, iPod, or similar device that allows them to be portable. The research is starting to show this as the best method for delivering them (Chris, 2008; Symonds, 2009), and that learners prefer this method (New Scientist, 2009). Rather than putting a lot of text into an elearning program that requires the learners to click the next button 10 to 30 times, put it in a PDF that is more suited for this type of content. This gives the learners several options for viewing it on screen or printing it if they desire, in addition to being able to add notes. PDFs also allow the use of links, videos, and audio that greatly increase their versatility. Yes, an elearning program allows you to ask questions as the learners proceed through the “click screens” but you can get just as good or better effects by asking the questions at the beginning of the PDF file (or where needed) so that you preframe or cue the learner before they read the material. In one study the learners had a 10 percent better recall when they first tried to retrieve the answer before it was shown to them (Roediger, Finn, 2009). In theory, a classroom has to be long enough for the slowest learner to learn if you want everyone to master the material. In reality, classrooms are normally designed for the average learner, which means a large percentage of learners are wasting their time and another large percentage are not given enough time to master the material. Thus, the best environment for most learning is not in a lockstep (classroom) environment, but rather in a self-paced environment. Secondly, classrooms are normally one of the most expensive media for learning. ISD or ADDIE is often wrongly identified as a classroom creation tool, but as one who was formally trained in it, one of the first things hammered into us was to select a different delivery option if at all possible because of a classroom's lockstep nature and cost. The real reasons for the classroom's dominant position are the instructional designers — they fail to stretch themselves to create a self-paced learning environment. This does not mean the classroom is dead as there are many things that work better in a classroom type setting. In addition, classrooms actually enhance dL in that a blended learning environment composed of classrooms and dL increase learning by an average of 11% for both procedural and declarative knowledge (Sitzmann, Ely, 2009). There seems to be something almost magical about blending the interactive and social nature of classrooms with the self-paced environment as each can deliver specific methodologies better than the other (Clark, 2001). In addition, dL can have a attrition or drop-out rate as high as 20% as it often treats the person as a “lone learner”. For example, in an informal learning episode a person will interact with an average of ten people (Tough, 1999). 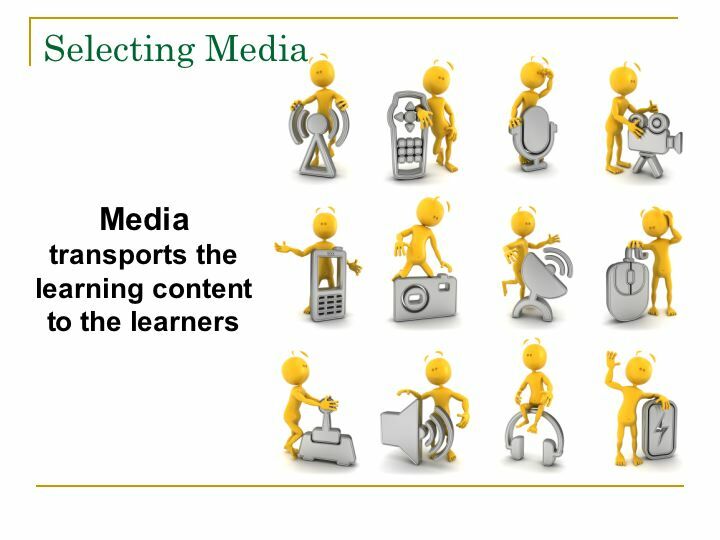 Adding blended learning and dL provides the social aspect that we need when it comes to learning so that it does not become a lone-learning environment. html file: This is the file your browser opens. Flash file (swf): Shockwave Flash file. xml file: This is the file that the swf app reads. It supplies the questions and answers. If you open it up with a text editor and study it, along with running the game, you will see that you can edit the xml file to create new questions and answers. Note: You can download the zip file that contains the above three items. It's the xml file that is the most interesting because rather than having to edit the flash file, a Learning Designer with a little or no training could edit the xml file to update it or rework it for a different learning environment. A few of these types of applications would make a good addition to an elearning development library that allow activities to be rapidly built. Building objects such as these are faster and easier than trying to incorporate everything into one giant elearning package. In addition, they can be iterated faster and are easier to fix and update. But most importantly, they consider the learners first by targeting their learning needs. This article was first posted on my blog, Selection in Agile Learning Design, but since blogs tend to push posts to the bottom as new posts are created, I thought I would post the series on my web site where they would stay more exposed and could be updated when needed. If you have any comments on this article please feel free to comment on the blog post or email me. Clark, R. (2001). Learning from Media: Arguments, Analysis, and Evidence. Greenwich, Connecticut: Information Age Publishing. Pascarella, E.T., Terenzini, P.T. (1991). How College Affects Students. San Francisco: Jossey Bass. Updated September 28, 2015. Created July 1, 2009.